If you are a dog lover or dog owner and are worried about leaving your dog to play outdoors without supervision, then luck is on your side. I recently came across a product which I’d love to share with you. This product review is my honest opinion on this unique product. But, don’t take my word for it. Try it too and let me know how it goes. So, what is the PetSafe Wireless Pet Containment System? 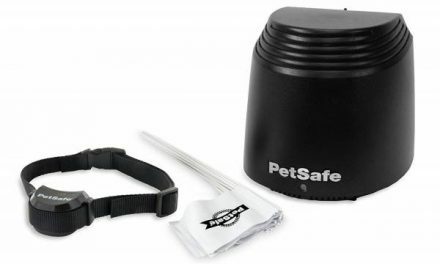 The PetSafe Wireless Pet Containment System is an excellent product that helps you keep your pets safe by creating an invisible ‘fence.’ It is, of course, beneficial for pet owners since it is easy to use, and has great features that are worth your money. Unlike most products available in the market, you can use it to contain several dogs as long as they have compatible collars. It is a portable system that virtually requires no installation as you do not need to dig or bury any wires. Here are some of its main features and limitations to help you decide if it is for you or not. You can set up a containment area of up to half an acre with an adjustable range of 5 to 90 feet in every direction using the PetSafe Wireless Pet Containment System. To set it up, plug in the transmitter that will emit radio signals in all directions and correct the dog through small electric shocks if it strays too far from the boundary. It is efficient, and you have the option set up a visual boundary using flags to help your pet during the first days of wearing the collar. You need to remember to plug in your transmitter in a central location, as metallic objects, as well as the terrain, may affect the operating range of this system. Though the containment area is only circular in range, you can get more coverage by overlapping additional transmitters and hence expanding your boundary. Since this product is wireless, all you have to do is carry the transmitter and collar with you every time you are away from home such as when traveling. It comes with an 18kHz transmitter that is 9 x 9 x 8.5 inches in size and a 2.5-ounce receiver collar of 6V, making it extremely easy to travel with. Thanks to its design, the transmitter can inconspicuously be stored indoors or away from weather elements. If you are worried whether or not the collar will suit your dog, STOP! The collar is safe and appropriate for almost all dog breeds. The system is suitable for dogs over 8 pounds and can fit dogs with neck sizes from six to twenty-eight inches. 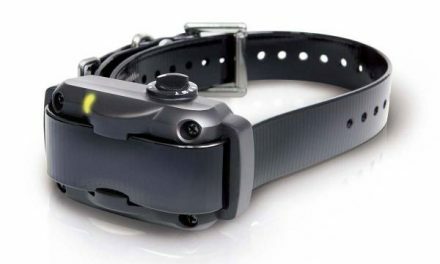 The collar receives signals from the transmitter and issues a warning tone every time your pet approaches your designated boundary. A static correction startles your pet if it doesn’t stay within the invisible parameter. Then, it automatically shuts off for five minutes before delivering static correction again for thirty seconds. The collar is waterproof, so it is suitable for all weather and has interchangeable long and short collar contact point for long-haired and short-haired dogs respectively. This wireless dog fence is safe for your pet, and the correctional collar has five adjustable levels you can set according to the temperament of your dog. It also has a tone-only mode that is comfortable for your pet once they learn to stay within the safe pet area. 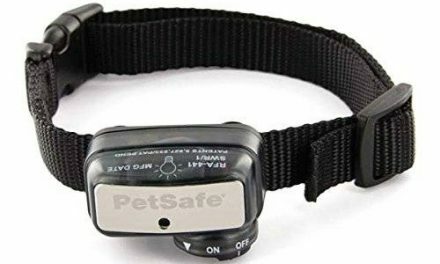 The PetSafe receiver collar uses a 6V non-rechargeable battery that may not be as convenient as a rechargeable one but makes it easy to replace in case of a malfunction. They last about two to three months depending on the temperament of your pet and have a low battery indicator that flashes every five seconds when the battery is running low. 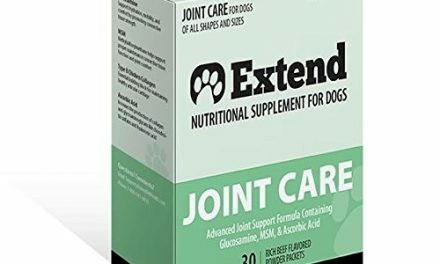 In my opinion, this product is reliable and will keep your pet safe especially when supplemented with a little training. There is a simple manual to help you along as you have an easy, memorable time with your pet. Have fun being in control!